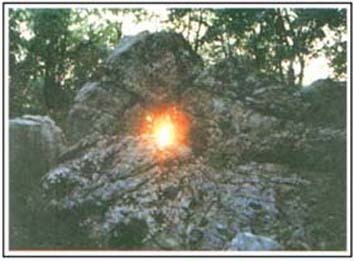 In the San Lorenzo's site, at summer solstice sunset, the sun light produces, through a Quadrilithon opening (Fig. 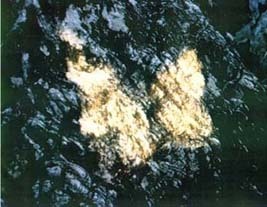 1), a "gilded butterfly" image (Fig. 2). 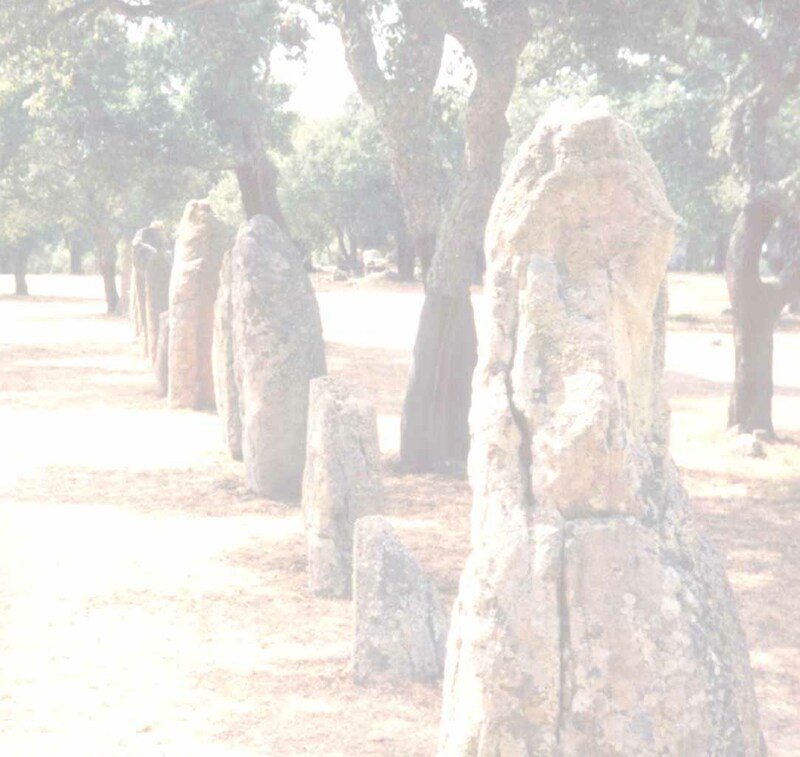 The Quadrilithon is a Trilithon evolution (trilithon = three stones characterized by two vertical elements and a lintel, that in this structure is made as a lozenge) completed by a stone placed across the lower space between the upright stones. The bright phenomenon appeares from 20:15 (Az. 295.7° - El. 7.6° - GUIDE 7.0.) to 20:35 (Az. 299.1° - El. 4.4° - GUIDE 7.0.) Summer time. The computerized elaboration of the sunset's trajectory to the summer's solstice (Fig. 3), applied to the geographical coordinates of San Lorenzo's site; the red circles represent today's summer solstice sunset's trajectory while the yellow circles represent 5 000 B.C. (temporal reference to the terracotta figurine of Passo di Corvo - Fig. 4) summer solstice sunset's trajectory.